The kingdom of Thailand is rich in history as it has been inhabited for thousands of years which means that its history dates back to all the way back to prehistoric times. During this long time, several empires and kingdoms have ruled over the country and naturally, they have each left their mark on this ancient land. From different architectural styles to proper places dedicated to that bygone empire. Several archaeological sites give evidence of human inhabitants dating as back as the Iron Age. Overall, the dominant religion stayed Buddhism, therefore, you can see many remnants of ancient temples and Buddhist architecture built by several emperors and kingdoms that ruled the country over time. If you like learning about or just looking at historical sites then Thailand would prove to be the perfect destination for you. Full of several UNESCO listed World Heritage Sites, which are breathtakingly beautiful and very well-preserved. If you’re interested in exploring Thailand’s famous historical landmarks then their capital city, Bangkok, is a great place to start. Speaking about it, I may visit Thailand soon so I’ll start looking for affordable Flights from London to Bangkok as well. To be honest, if you wish to visit the most iconic historical site in Thailand, I’ll recommend this one. Located in Bangkok, the palace is home to the Emerald (or Jade) Buddha and showcases many other interesting sights. The palace complex is full of rich history and is a significant part of the Thai heritage. It was built in 1782 as a residence for the royalties and the administrative government. It has served that purpose for at least 150 years. In fact, it is still used for accommodating heads of state and for important ceremonies. It is wise to show respect when visiting here because it’s also a religious place. I suggest that you cover your arms and legs well and keep a respectful distance from monks if you’re a female. To use your time efficiently, hire a guide so you don’t miss out on important features and historical facts. Known for its unusual rock formations, this is a historic park, where the oldest rocks are dated back to 6000 years ago. Due to erosion taking place over an incredibly long period of time, these rocks were used as canvases by many civilisations. Paintings are still evident on many rocks. Prehistoric evidence of Dvaravati and Khmer culture can also be found here. The most notable is the Hor Nang Usa where a king imprisoned his daughter until she escaped with her prince charming. Quite fascinating. 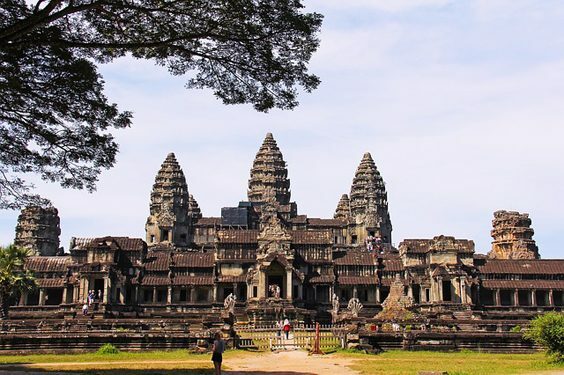 As the names suggest, these temples date back to when the Khmer empire ruled over Thailand. These ancient temples are scattered around different parts of Northern Thailand but some of the most notable destinations are located in lesser-known parts of Thailand. One of the notable temples is Phimai. It’s a Historical Park with Khmer architecture said have been mostly built in between 11th to 12th centuries. Again, the influence of different religions is evident. There is quite a lot to see here as it is said to be the most important Khmer site in Thailand. Phanom Rung is another historic park, located in Isnaan, it is known for the spectacular preservation of the Khmer architecture which is said to have been built between 10th to 13th centuries. In simple terms, it’s a temple complex that was at first based upon Hinduism and then converted to Buddhism. Despite the change, the influence of different religions and cultures is very visible. This is one of the oldest city of Thailand, said to have been built in around 545 AD by the Tai migrants from China. It became a settlement of the Lanna Kingdom in the early 14th century. Sitting on the banks of Mekong River, it forms a part of the legendary Golden Triangle. There quite a few historical temples inside as well as ancient sites around it that you can explore. It’s also quite well-preserved and not at all popular so you’ll be able to view it in peace. Try to either take along a guidebook or hire a tour guide to tell you details about all the places scattered around there. This historical park is defiantly one of the most important sites to visit in Thailand. Here you can view the ruins of the Sukhothai kingdom which was founded in 1238. Overall it is a stunning location, surrounded by lakes and trees creating a sanctuary where you can visit the many temples and historical landmarks located there. This civilisation is where most of the Thai culture comes from including Thai art, architecture and language. However, since it’s located in the middle of nowhere, very few visitors decide to go on a day trip here. Either way, if you’re staying in Bangkok then it’s around 427km north of the city. Honestly, with how much history this place has, there is a lot to see here. 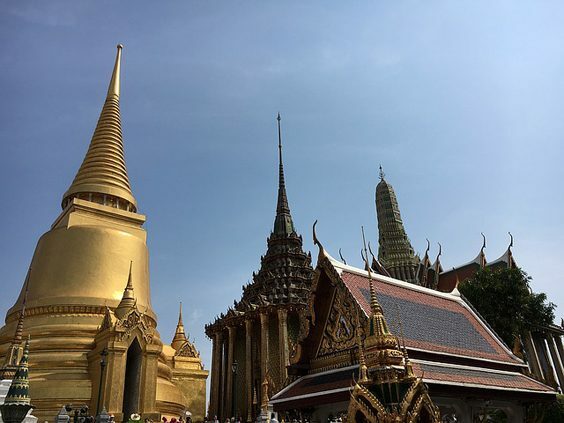 Located in the immediate south direction of, and right next to, the Grand Palace, this place is one of the oldest temples in Bangkok, Thailand. Centuries ago, this temple was built by King Rama I and was also the first “university” in Thailand as well as a popular pharmacy. Keeping that in mind, this place is rich in history so going on a guided tour is a must. What I found most intriguing is that this temple is also known as the place of healing. It’s also nicknamed as the Temple of the Reclining Buddha because there’s a huge statue of Buddha reclining. It is so big that it can only be marvelled at in sections. The soles of the feet are inlaid with a myriad of precious stones. You can also see the 108 signs of true faith carved into it. Other symbols include the lotus-bud like the configuration of the hand which symbolises purity and beauty. It is a UNESCO world heritage site which is believed to date back to 1495 BC. It is a quite important site at it showcases evidence of a prehistoric settlement’s farming and metal manufacturing. This gives us a peek into the very early development of an empire that’ll eventually form Thailand. Known for its red pottery, this was also a burial site for people from Neolithic and Bronze Age.